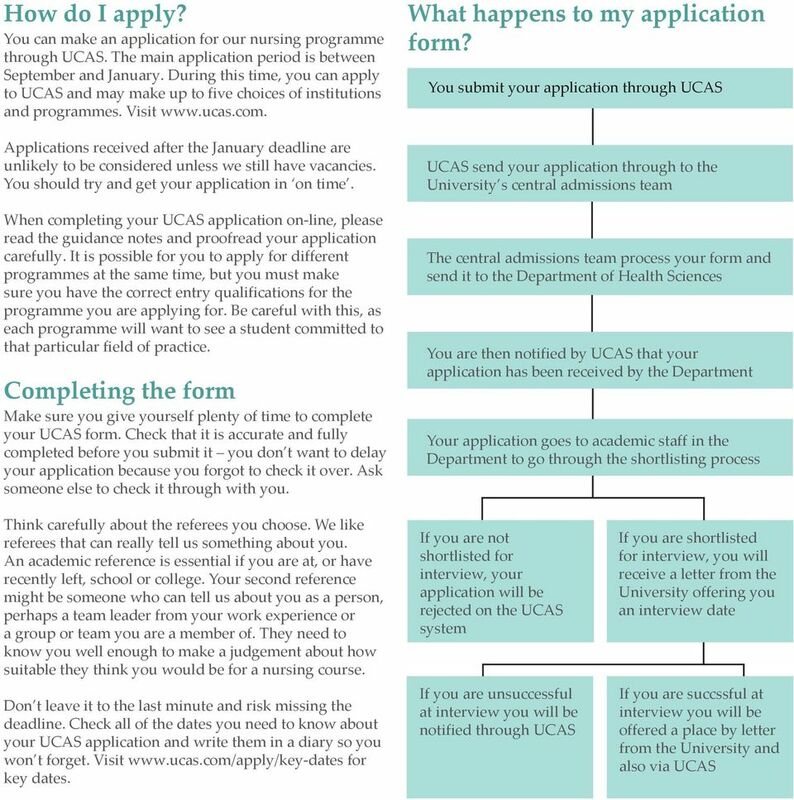 Download "What happens to my application form? How do I apply? 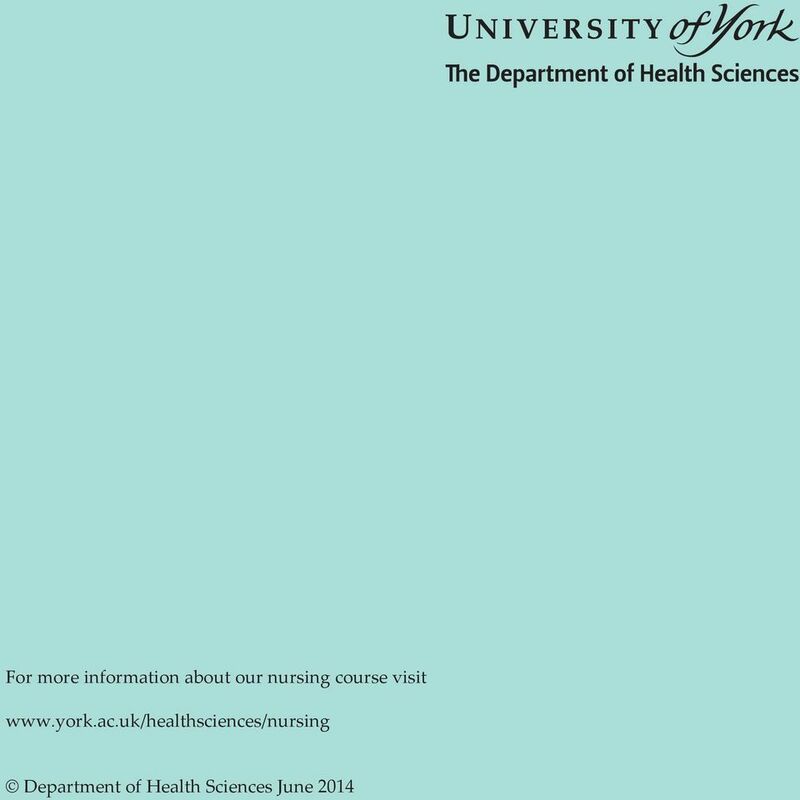 Completing the form"
4 will find it easier to demonstrate your understanding of the role and have a greater insight in to the realities of nursing and caring for people. Hobbies and interests again you may well have been involved in groups or teams that have provided you with useful experience or skills that will be of interest to us. Tell us about them here, but remember don t waste words by telling us too much about things that are not at all relevant. Future plans where do you see yourself in the future and what have you pictured as your nursing career when you qualify at the end of the programme? Show us that you have thought about the prospect of a nursing career and have looked beyond the point when you register as a nurse and have considered where you may be working or what you think that will be like. 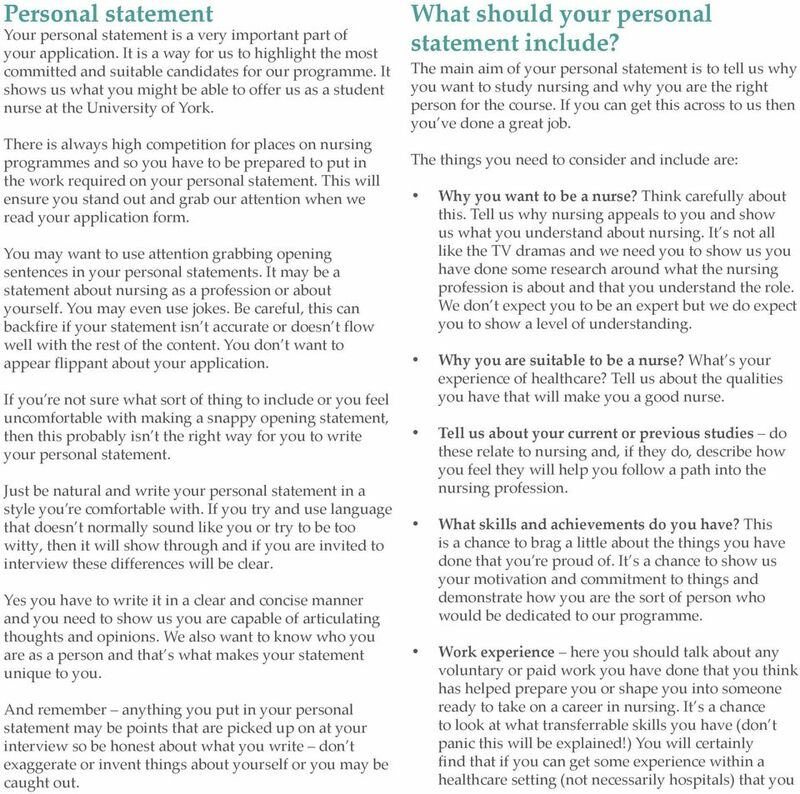 Mature students just because you re not a school leaver doesn t mean that you can t write a great personal statement. You have a wealth of life experiences and knowledge to draw upon. These are the things you need to tell us about, we want to hear about how you feel you re suited to becoming a student nurse. Transferrable skills The phrase transferrable skills is about looking at what skills and experience you have from all the other areas of your life such as work experience, hobbies and goups or teams you are a member of and also life experiences. 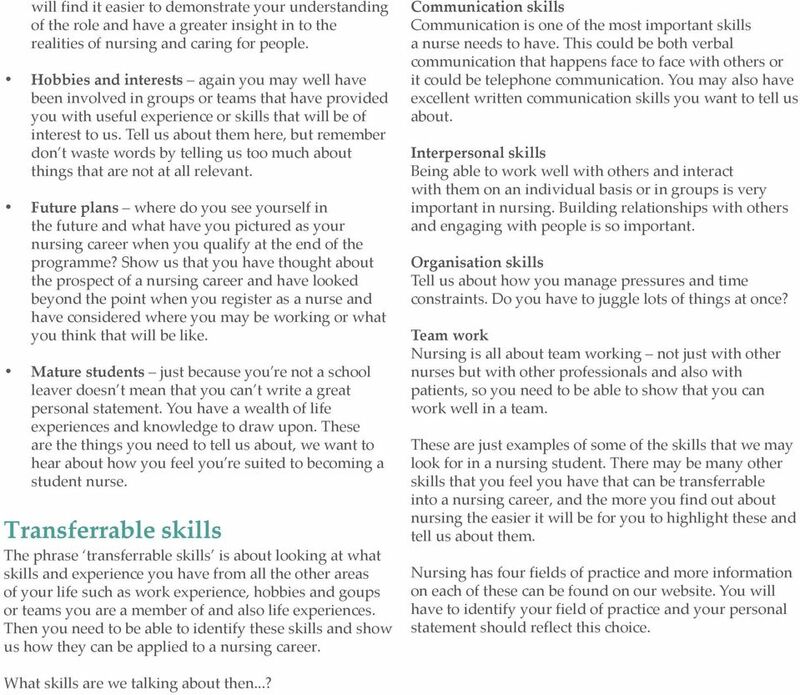 Then you need to be able to identify these skills and show us how they can be applied to a nursing career. Communication skills Communication is one of the most important skills a nurse needs to have. This could be both verbal communication that happens face to face with others or it could be telephone communication. You may also have excellent written communication skills you want to tell us about. Interpersonal skills Being able to work well with others and interact with them on an individual basis or in groups is very important in nursing. Building relationships with others and engaging with people is so important. Organisation skills Tell us about how you manage pressures and time constraints. Do you have to juggle lots of things at once? Team work Nursing is all about team working not just with other nurses but with other professionals and also with patients, so you need to be able to show that you can work well in a team. These are just examples of some of the skills that we may look for in a nursing student. There may be many other skills that you feel you have that can be transferrable into a nursing career, and the more you find out about nursing the easier it will be for you to highlight these and tell us about them. 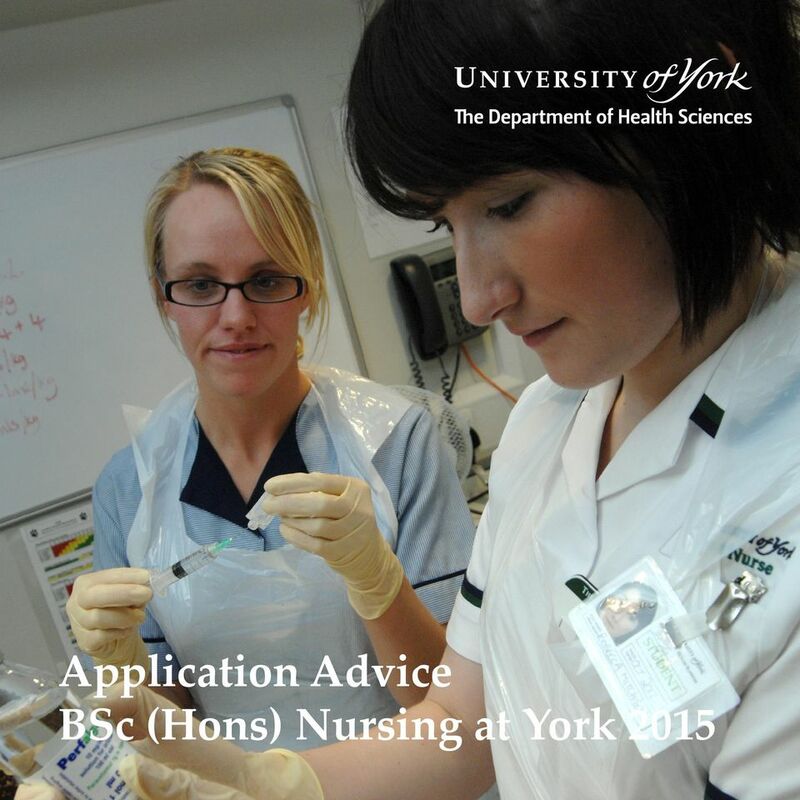 Nursing has four fields of practice and more information on each of these can be found on our website. You will have to identify your field of practice and your personal statement should reflect this choice. What skills are we talking about then...? Degree Apprentice Handbook Contents Why Fujitsu? Salary & Benefits Application Requirements Information for Parents Structure FAQs Assessment Centre Application Process and Hints & Tips 2 3 Why Fujitsu? June/July RESEARCH. 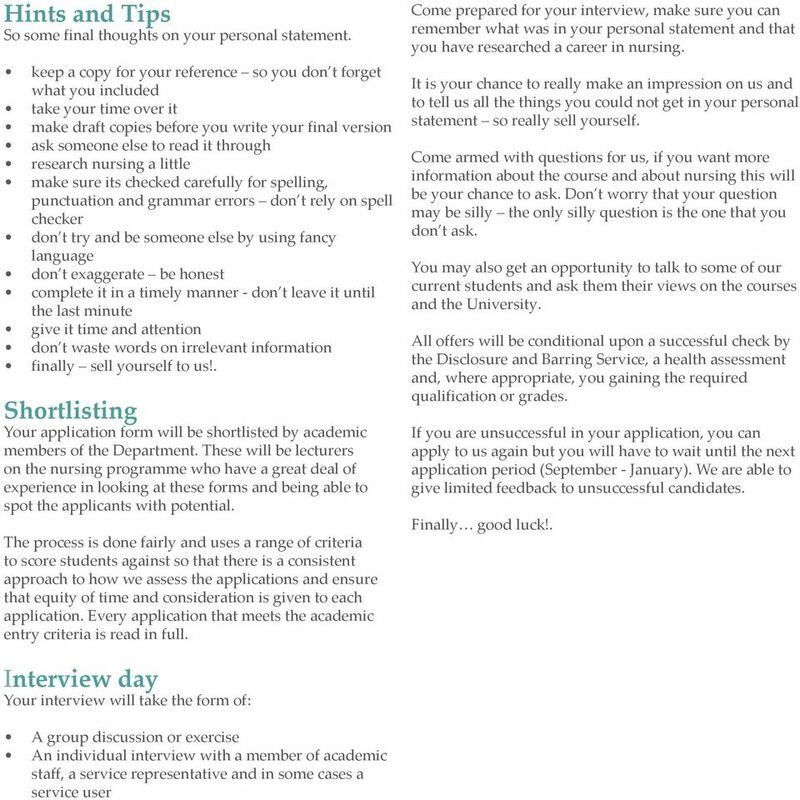 Things to do: RESEARCH COURSES; REQUIREMENTS/REGISTER WITH UCAS; BEGIN DRAFTING PERSONAL STATEMENT. To give students a true interview experience based on their CV in order to help them apply for employment or higher education. Dental Hygiene & Dental Therapy. School Of Clinical Dentistry. Dental Hygiene & Dental Therapy. 2 Dental Hygiene and Dental Therapy Thank you for your interest in studying Dental Hygiene and Dental Therapy at the University of Sheffield.